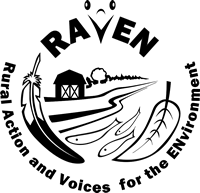 For the NB Media Co-op, RAVEN’s Tracy Glynn wrote about the opposition to fracking after the provincial government threatened to lift the moratorium. Two dozen people rallied against shale gas in New Brunswick outside a natural gas conference in Moncton on a frigid November 15th. Read Tracy’s story here.